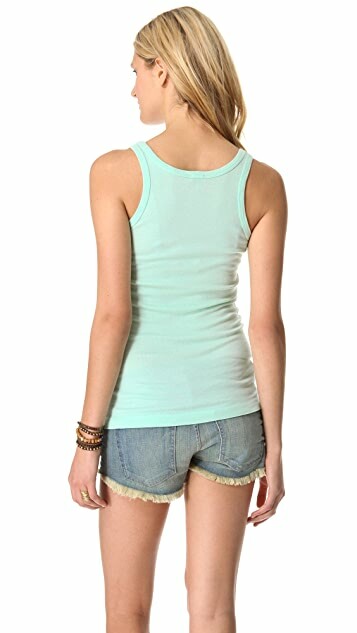 A wardrobe staple at its finest, this simple Splendid tank has a perfectly soft feel. Spendid nailed this one. The fit is perfect, the fabric is soft and holds up through washing, and the mint color is right on trend for the season. 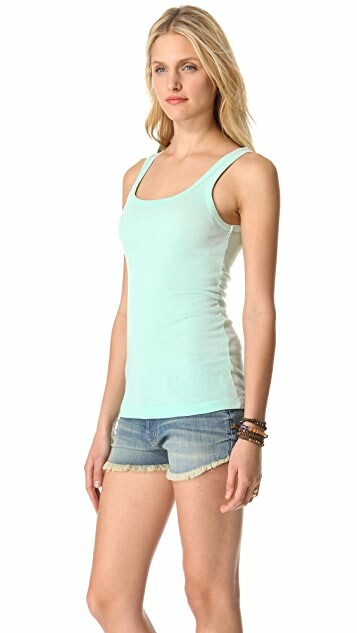 I own this tank in every color. It's a wardrobe staple! It fits grate! 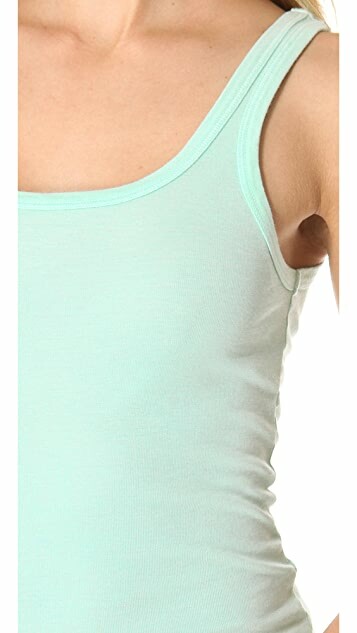 I have tanks and t-shirts, and decided to buy it only for the color. How surprised I was, when it make me so pretty)))) It worth every $.